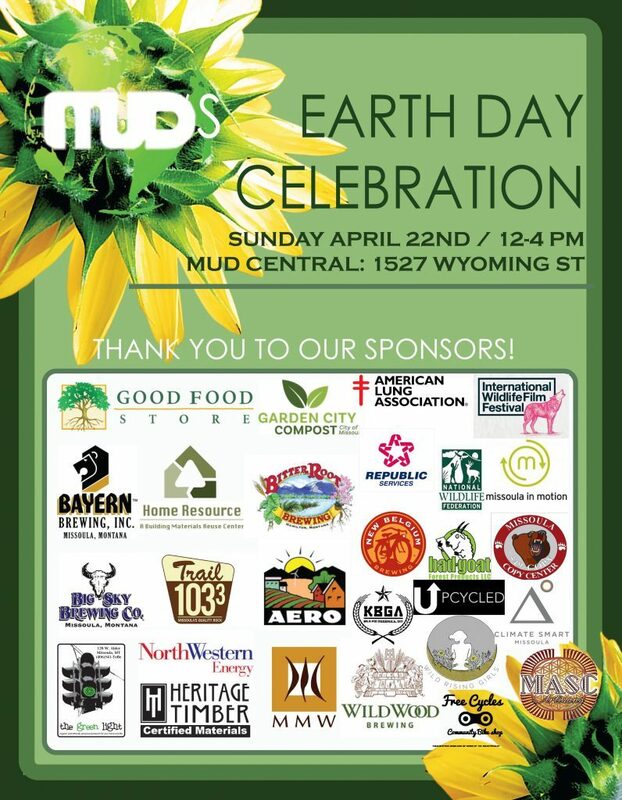 Each year, MUD and the Missoula community come together to celebrate Earth Day in style! Admission to our Earth Day Celebration is FREE and open to the public. This year’s theme is “Protect Our Species” and our event will feature family-friendly activities focused on protecting our wildlife and endangered species. Event Sponsors- Fill out this form. Event Exhibitors- Fill out this form. Want to volunteer at this year’s event? Fill out this form. 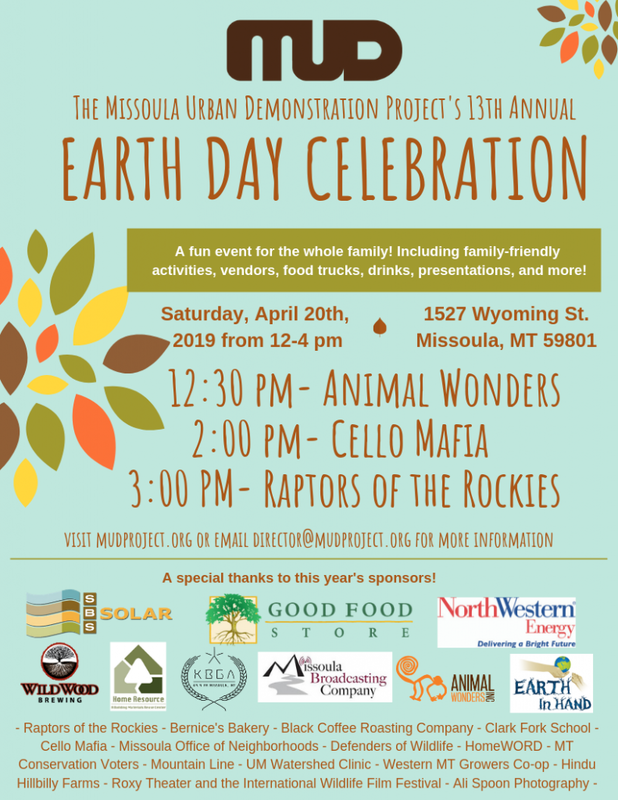 If you have any questions about the 2019 Earth Day Celebration, please email vista@mudproject.org.